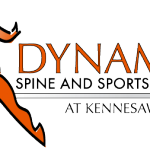 Contact us today for a free visit! I have been working with Bronson for over 2 years now. 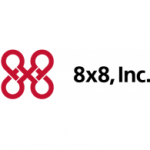 I work for 8×8 and sell hosted VOIP solutions. Bronson has helped me consult with clients from 5 phones up to 200 phones. Whether you are a start up or a established business Bronson gives every customer the same amazing service. Bronson is a very smart individual and can really figure anything out with a computer or network. Bronson is one of my most valuable assets and I am very lucky to have him on my team. Our business has had the pleasure of working with Bronson and his company Personalized Technology Services. His attention to detail and very fast response has helped us stay very sound with the IT portion of our small medical office. We have many different devices from iOS, to Windows and all of them are serviced by Personalized Technology Services. They are very very good at determining the problems and fixing them very fast. In a time in which everything is online in the cloud and it is vital that we be able to protect our patients data as well as the ability to make notations and speak with other providers and hospitals, it is extremely important we do not have down time on our software or our devices. Personalized Technology Services helps us achieve this task. I would highly recommend them if you are seeking a business solution that wont break the bank and it will continue to help you grow.